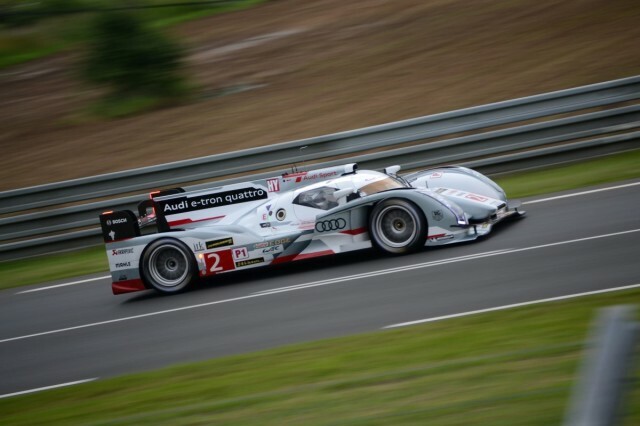 Audi has continued its dominant run at the world's most famous endurance race, winning the Le Mans 24 Hours on Sunday. The team's twelfth Le Mans victory is also the second for its hybrid race car, the R18 e-tron quattro. France's Loic Duval, Scotland's Allan McNish and Dane Tom Kristensen took the diesel hybrid Le Mans Prototype across the line ahead of a string of other hybrid vehicles, including the second-placed Toyota of Anthony Davidson, Sebastian Buemi and Stephane Sarrazin. Hybrid technology is making the world's top endurance racers a force to be reckoned with, though Audi and Toyota use different ways of extracting maximum performance--with minimal consumption. The race-winning Audi uses a diesel V-6 engine to power the rear wheels--already a winning setup from previous Le Mans races--but powers the front wheels with electric motors, boosting performance and providing extra traction. Watching the Audi from trackside is a spectacular experience. In comparison with other vehicles, the Audi is near silent--and in traffic, any noise it generates is completely drowned out by regular combustion engine racers. However, in isolation the noise of tire on asphalt and its dramatic shape cutting through the air sounds like a jet aircraft. It's visually the fastest car on the circuit--an illusion perhaps enhanced by the relative silence--and almost appears like a car from the future. Of course, that's also why Audi is developing the R18 e-tron: To aid its future road car developments. Toyota matches its gasoline engine with electric motors, feeding power to the rear wheels only. It's the more traditional setup of the two and matches the Audi on outright performance, but over the course of 24 hours, Audi's meticulous teamwork, impressive economy and reliability all contributed to the team's win. The Audi's all-wheel drive setup also made lighter work of a race hit by several rain showers, causing accidents contributing to eleven caution periods led by safety cars. Sadly, Aston Martin driver Allan Simonsen was killed in an accident that led to the first of these caution periods, only a few laps into the race. Podium celebrations were notably muted, while a call for a round of applause in memory of the Danish driver on the podium was a touching tribute and reminder that motorsport is and always will be dangerous. That said, that events such as this are now shocking exceptions rather than the norm is a mark of just how far safety in the sport has come along. Simonsen's family asked for the race to continue when news broke, and for the Aston Martin team to keep its cars in the race. Tragedy aside, the Le Mans experience is one to savour. 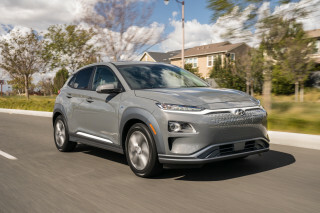 It's also one that fans of green technology can appreciate a little more, the combined requirements of economy, reliability and technology making it far more relevant to road vehicle technology than virtually any other motor sport.